Chris Carter has shared the details of a new box set of his early work, assembling mastered versions of his first solo albums. The Throbbing Gristle, Chris & Cosey and Carter Tutti Void founding member will release his early albums, alongside unreleased recordings from 1973 to 1977, in limited edition. 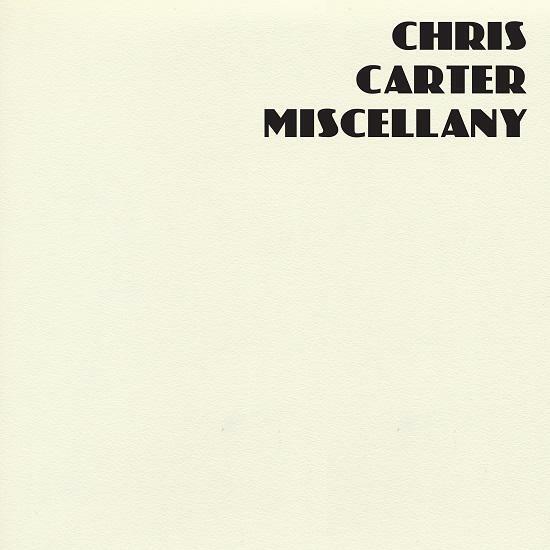 1000 copies of the vinyl set Miscellany will be available from November 30, each containing 6 vinyls with a 24-page 12” sized booklet featuring rare and unseen images, synthesiser schematics and ephemera from Chris Carter’s archive. Albums Disobedient and Small Moon will also be available on vinyl for the first time. He has also shared a Radiophonic Workshop remix of track ‘Blissters’, taken from his upcoming EP Chemistry Lessons Volume 1.1 Coursework, out October 19, which you can hear above. To pre-order the Miscellany boxset, click here.